When I left Windows, one of the things I left behind was FL Studio. 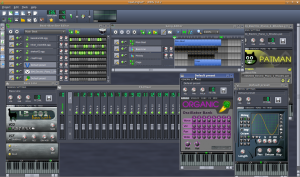 Not that I was an avid user of FL Studio. Nor did I manage to create anything nice with it. But I paid money for it, and because they offered free lifetime updates, I thought I would really miss it. Not anymore. But the program itself is impressive, especially when you consider that it currently stands at 0.4. There are as many instruments and effects and other features as I can comfortably handle (more in fact). For me this brings closure on the FL studio issue. 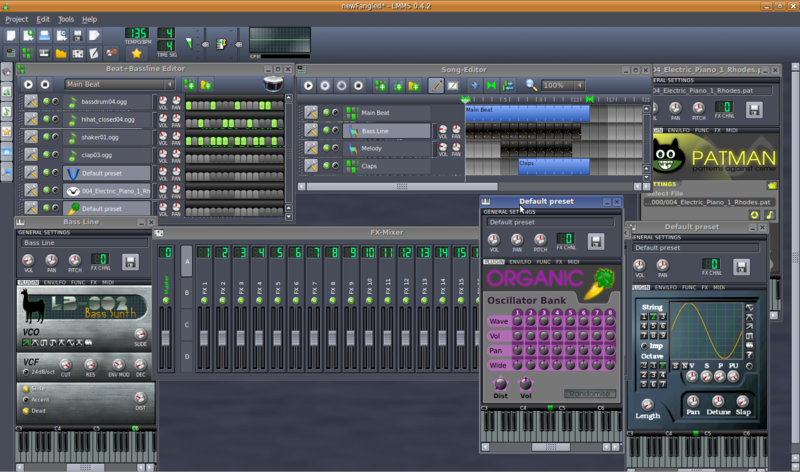 I’m glad to see an app that is shamelessly trying to match FL Studio on Linux. About time. This entry was posted on Monday, May 18th, 2009 at 9:04 pm and is filed under Music, Open Source. You can follow any responses to this entry through the RSS 2.0 feed. You can leave a response, or trackback from your own site. Awesome! I just installed it as well, but I have no idea how it works! 😀 Will have to learn. By the way, you can go to the LMMS website and find lots of sample projects for download to give you some ideas as to what you can do with it.